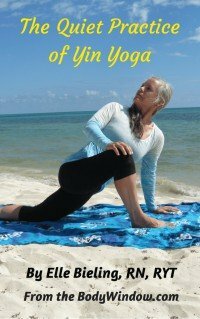 Gliding exercises can utilize your body-mind connection for gliding into the core of your being to become centered, balanced and complete! One of the great ways to improve all aspects of yourself, through the body-mind connection is by doing exercises on gliding discs. When you improve your body, you improve your mental well-being and heal your soul. Doing most gliding exercises is so easy that I even put a gliding for seniors routine together. My 80+ mom-in-law loved it! Then I got my friends together to just put the discs on their feet and just dance and glide to music! They loved it as well. This article focuses on using gliding discs for an exceptional core workout. Contained in this piece are exercises that are much more difficult. It will really strengthen you, as well as my articles on gliding exercises for upper body strength and for lower body strength training. The core of the body, or as I like to call it, the "core of my being" is a very strong metaphor regarding staying centered and aware of your connectedness to all things. It is a strong spiritual center, in your body-mind connection. If you would like to read more about this concept across cultures and my own interpretation, please go to Core Exercises, for understanding the "Core of My Being." To get you started using gliding discs you may wish to read my introductory article on the body-mind-soul benefits of doing gliding exercises. I call it "Using Gliding Discs to Transform Your Habits." Gliding is a metaphor for becoming unstuck so that you flow through life with ease! When you do this core workout, I wish you would meditate on gliding and flowing. By doing this you would begin to use your physical energy to move your emotional and mental energy to become unstuck. In this way you would be able to use your body as a tool to transform your life and all aspects of your body, mind and soul! It is using your body-mind connection to its fullest! Gliding exercises for a core workout can be very, very difficult. I recommend that you go slowly and start with the easy gliding exercises first, especially if you haven’t done any core exercises for a while. Be gentle on yourself and don’t overdue it until your body is ready. Maybe first take a look at my core workout video below, at the very last clip which is the easiest, and definitely do it first. Then progress to the harder core exercises in the first and second clip. Start out slowly and gradually work up to your skill level. But always try to push your edge just a little. This will always keep you challenged for change. The only constant we all have is change, so in order to stay fluid, flexible and be able to glide through life YOU must change as well. Your body can be the pathway where you initiate your body-mind-soul changes. When you initiate the movement with your body, the rest will follow! When you do your core workout with gliding discs, remember to breathe! Access your deepest core awareness, and engage your center as you move. Firmly set your abdomen and your lower back before you initiate any core exercises. Hold each starting position for several seconds prior to moving to become centered in your body, your heart and your soul. Take several deep breaths before initiating the movement. As you move, meditate on being connected and finding your personal, physical center of gravity. As you glide inward, you will find your spiritual center, that place from which we are all connected. As you do your gliding exercises, affirm many times, "I am centered and connected to God and all of Life." "I am centered, whole and complete." "From the core of my being, I am fluid and balanced." The first clip in the video shows me essentially doing the same gliding exercise as in my lower body strength training article (see list of articles below). However, the dramatic difference in this video, is that my upper body is positioned on my forearms instead of my hands. This simple change in position changes the movement so that the predominant strength required comes from your core. The second clip is easier than the first. In order to do the slide with your feet from the plank position up to the pike position, you really need to engage your core. The third clip is the easiest and is done with your arms instead of your legs. You may want to warm up with this one and end with this one. If you rest your core with the final Child’s Pose, as a counter pose, you will feel refreshed after the difficult core workout. I also used a folded yoga mat for my forearms, hands and knees, so it wouldn’t be so hard on those parts on the hard tile floor. You may not need this if you are doing your core exercise on the carpet alone. If you do need a padding, a rolled up blanket works great too. When you do your core workout with gliding, just make sure you choose the right type of gliding discs for the flooring you have in your home. If you click the link in this paragraph, you will see that fabric ones are for hardwood and tile floors and the plastic ones are for use on carpet. All these core workout moves will get your heart going for a great cardio workout as well. As I always say, my videos should be used as a reference and starting point only. Use your own intuition to glide you where your heart wants to go! May all your gliding exercises be balanced and centered. May your gliding discs be an important tool for you for gliding into the core of your being as you do your core exercises. Through this core workout, may you heal your body-mind-soul by staying connected to all things and always ready for change!